By now, I’ve lost count of how many free-to-play Square Enix games I’ve previewed that haven’t made their way out of Japan yet. It’s hard to say if Mobius Final Fantasy will be one of the rare ones that Square Enix chooses to publish outside of its domestic market, but if any of them have a chance, you would think it would be this one. 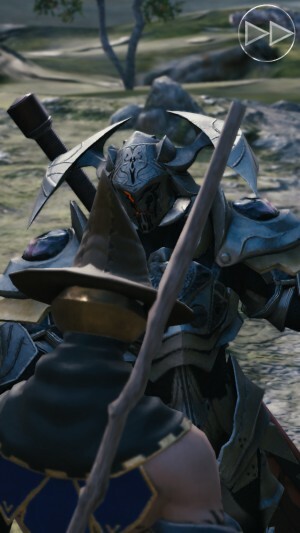 With its strong production values and the participation of longtime Final Fantasy series development team members Yoshinori Kitase (Final Fantasy 6 ($14.99), Chrono Trigger ($9.99), Final Fantasy 10) and Kazushige Nojima (Final Fantasy 7, Kingdom Hearts, Final Fantasy 10), Square Enix seems to be making a big statement about the importance of this game. We’ve been seeing snippets of it in magazines and trailers for a while now, so when it appeared on the Japanese App Store, I was pretty eager to give it a go. I was also a bit cautious, however. Square hasn’t had the best track record in their free-to-play titles when it comes to long-term enjoyment. Indeed, Final Fantasy Agito seems positively abandoned these days. This game’s main pitch involves bringing in big console talent, something that has led to mixed results for other companies and their projects. 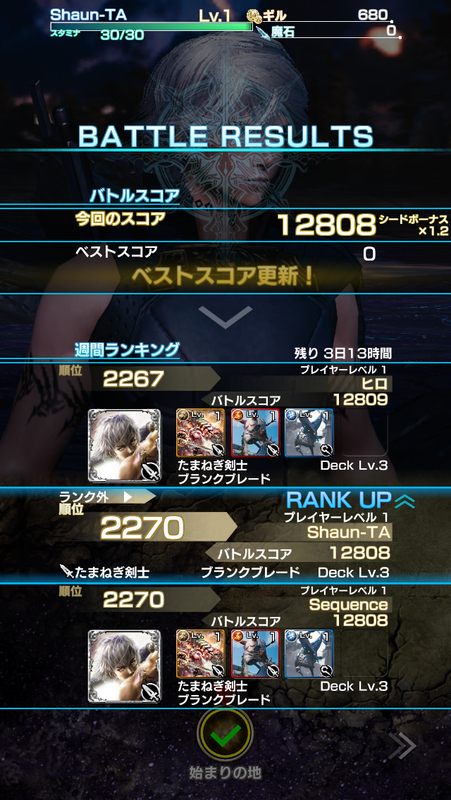 Making a single-player, finite experience like Final Fantasy 13, meant to be played from a couch or comfortable chair on a nice television, requires an entirely different skill set and mindset from trying to put together what is likely a never-ending, mobile F2P game. When you start the game, you can see the immediate influence of both of the big names. Kitase has a certain flair for setting up scenes, and although he’s not the director on this game, his fingerprints are all over it. Nojima is well-known for his world-building and somewhat convoluted stories, and you’ll see plenty of that early on in Mobius as well. 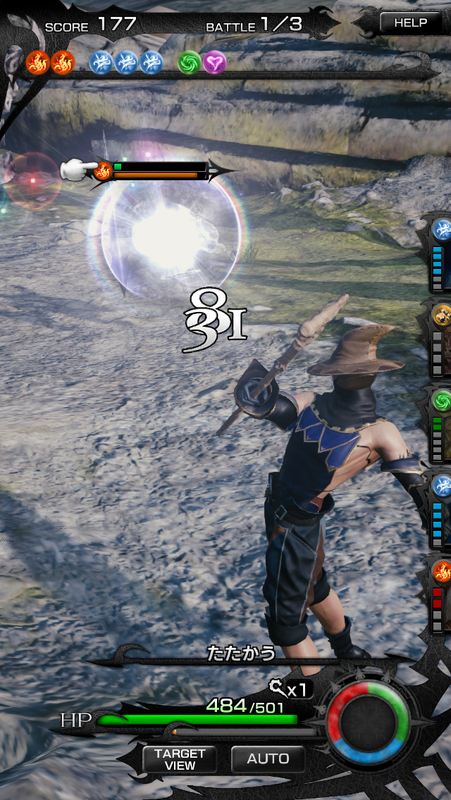 Even while you’re fiddling around in menus between fights, there’s a portion of the top half of the screen dedicated to showing your character killing time in his location. It kind of reminds me of a pachinko machine. I suppose that’s somewhat appropriate. Outside of the battles, this is Puzzle & Dragons (Free) all over again. The cards in this case correlate with magic spells you can use in battle, somewhat similar to Agito. Other than that, it’s the same old, same old. Draw new cards using a special currency, fuse them to raise their levels, evolve them using materials, and so on. One new twist here is the ability to choose your job class. As you play through, you’ll unlock new jobs that you can switch to between missions. The job you choose will affect your stats and a few other parameters, as well as making an obvious change in your appearance. Once you’ve settled your character load-out, you can head to the map and click on the next stage of your journey. You’ll choose a friend to bring into battle with you, giving you access to their main card, so hey, it’s a social RPG. The structure of the battles is pretty familiar, as well. Each mission is separated into a certain number of battles, each containing a set of monsters to fight. You have to clear them all to beat the mission. The combat system has potential, I’ll give it that. Each turn, you can take a certain number of actions. 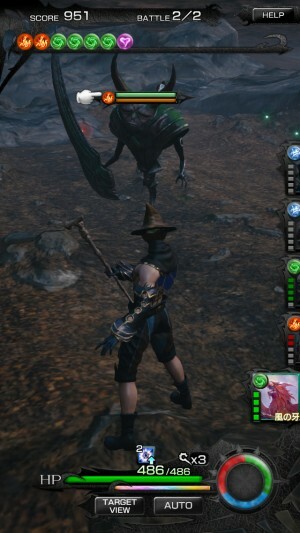 Tapping on an enemy does a basic attack, and if you keep tapping, it’ll turn into a combo. Hitting an enemy releases some elements, which are used as a sort of mana to cast your spells. If you’re not using a particular type of mana, you have the option to draw it all into yourself for a buff or heal. 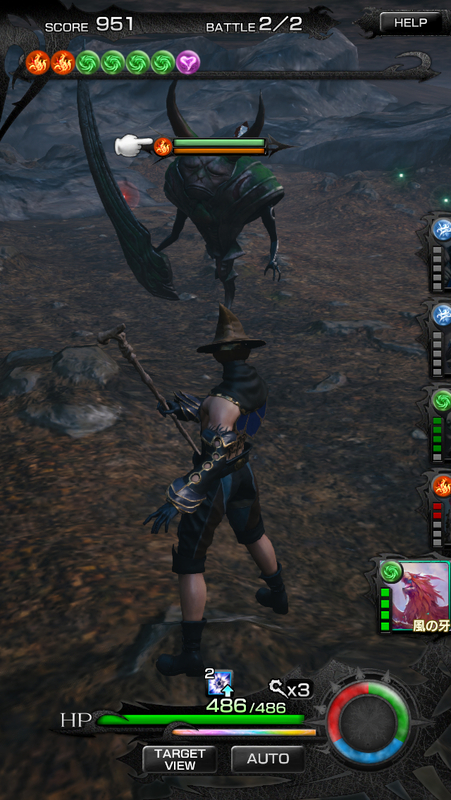 In addition, enemies have a break gauge similar to the one seen in Final Fantasy 13. If you manage to empty their meter, they’ll be super-vulnerable for a short period of time. Naturally, enemies have their own elements, and you’ll want to use the appropriate spells on the right enemies. It’s pretty interesting but I’m not far enough yet to judge if the game takes proper advantage of it. So far, all of the enemies I’ve fought have been really easy. Most of them can be handled by the auto-battle, and the couple of bosses I’ve fought likely could have been, too, if I were patient enough. I like the job system, but I’m not terribly thrilled about yet another game where I’m fusing and collecting magic to move forward. I’m impressed by the direction of scenes and generally pleased with the production values. The user interface is an overly busy nightmare, with tiny buttons scattered everywhere and elements all over the place. Of course, this being a social RPG means all the usual rules apply. You have to connect to the internet to check in fairly often, there is a stamina meter which depletes whenever you take on a mission, and premium currency is the grease that keeps everything moving smoothly. 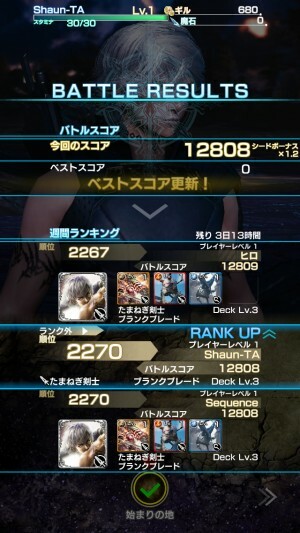 For now, I’ll say that Mobius Final Fantasy has some potential, but I could say the same for most of Square Enix’s social RPG efforts and they generally haven’t panned out over a long period of time. I hope this one works out better because there’s an interesting narrative running through the game that I’d love to see through, and it does have a few really interesting components I wouldn’t mind playing around with. Like the prospects of an English translation, however, only time will tell. I’ll keep on playing and will update you if anything changes dramatically.